It is already mid-August which means wrapping up summer vacations and preparing for school. The Village Shops has clothing, shoes, and accessories right at your fingertips to help prepare for kindergarten through college! All About April is your one stop shop! 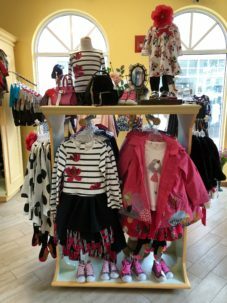 The upscale children’s boutique carries high-end fashion for infants and children up to 14 years. 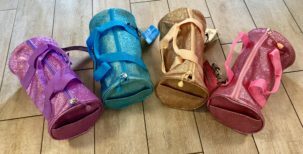 The boutique offers top-quality products from Europe, USA, and Canada including clothing, toys, accessories, jewelry, books, and shoes. 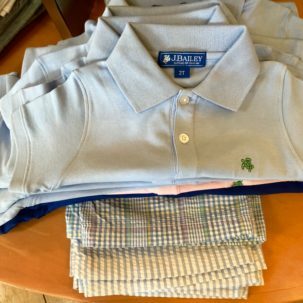 From dress down to dress up, the J.Bailey Collection has everything needed to style the active boys. Go casual with the J.Bailey polos or dress up with the Roscoe button down shirt. Pair both tees with seersucker shorts for a completed, school ready look. All About April is prepared to style your little fashionista in Catimini, Amiana, and several other favorite brands. What little girl doesn’t love a pop of pink and lots of sparkle? 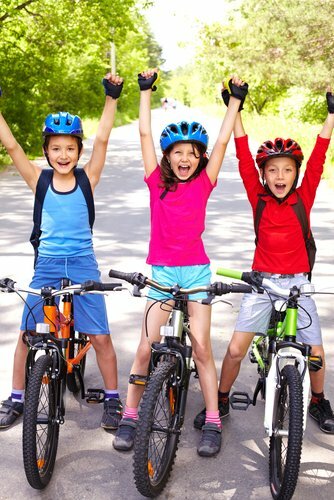 Catimini has dresses, skirts, leggings, tees, and more to cover any activity on the school day agenda. 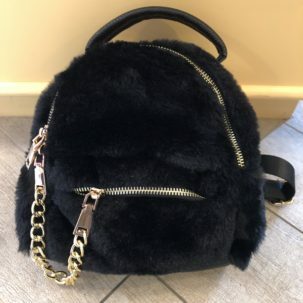 All Catimini looks pair perfectly with the Amiana fur backpack with the front gold chain. The Amiana backpack allows the little ones to feel confidently cool while carrying schoolbooks. Gym class and after school activities are more stylish than ever with the Sparkalicious duffle bags. Shop from the assortment of colors. Show school spirit by buying the duffle in school colors or grab a color to match your favorite outfit. Combining Southern Coastal Living with Island Life screams “calm, cool, and collected”. 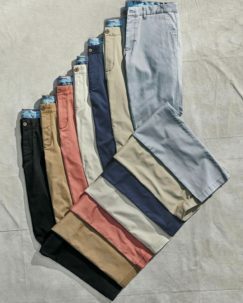 Mondo Uomo’s long sleeve Southern Tide t-shirts paired with Tommy Bahamas’ Chino shorts and pants create the laid back but well-dressed look every upperclassman is striving for. Both come in an assortment of colors to mix and match, for a new, fresh outfit every day of the week. Ladies, look no further than Lux Boutique! Their colorful and patterned Up Pants go from class to extra curricular. 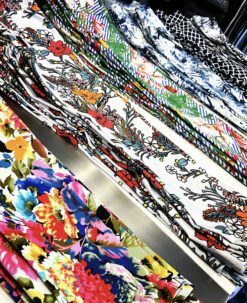 Choose from the wide assortment of prints and sport with a t-shirt or dress it up with a fancy blouse. Remember, accessories are key. Replace the standard backpack with the b. store’s Cotton Popcorn Tote Bags. Varsity Blue, Key Lime Green, Fluorescent Pink, or Scarlet Red… Which color will you choose? Lastly, Sperry is here to put that extra prep in your step. 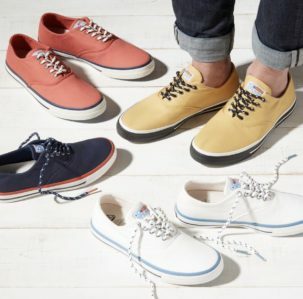 Complete your look with Sperry’s many different styles of shoes – boat shoes, flats, loafers, sneakers, and more! Shop simple with their originals in neutral colors or make a statement with their selection of bold colors. The Village Shops’ unique boutiques will make sure every day is a stylish school day. All looks are playground and picture day approved so be sure to stop by and shop one-of-a-kind fashions to take the stress out of back to school shopping!